View Poll Results: am i set up right for what i want? to be short and sweet, I'm new to marine set ups and Ive been reading a lot but the terminology is whooping my but lol. I'm looking up types of light and overflows and all this trying to see if it looks like mine, guess i need a marine picture dictionary so i took pics to show! I'll let the experts chime in more on this, but you're going to need some real strong lighting more than likely if you'd like corals in the tank. Tall tanks arn't really good for reefs. Your fish are going to be limited, since there is limited surface area. You'll haveto have less fish than you would for a 47 long for example. I would definatly get more LR and also throw in some raw grocery store shrimp in there to get your cycle growing. 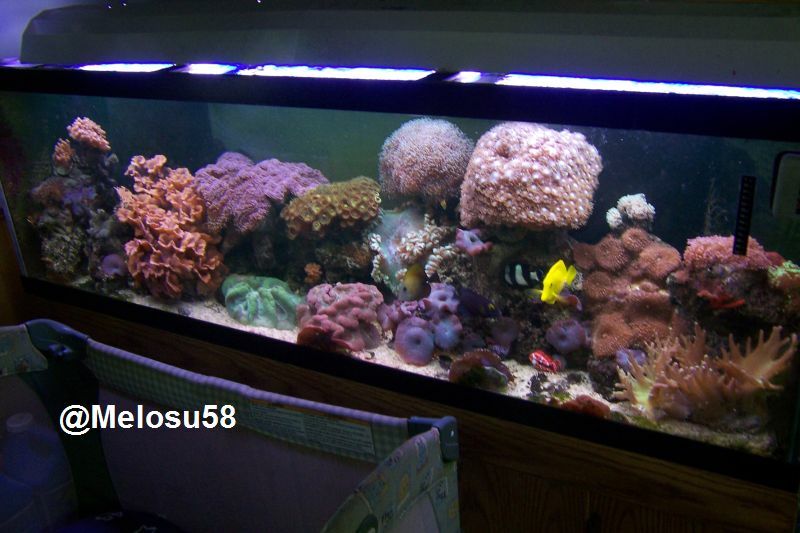 Dont always trust your LFS - certianly ask here first, it'll save you lots of money and trouble! Just your average LVT (licenced vet tech) trying to help the world's animals!! thanks, i kina figured id be limited on fish due to the short wdth and raw gocery shrimp. i nevr thought of that! thanksfor the tips! i plan on gettin more LR its looking like im goig to have to order it because the stor outhere chargs like 8.50 a lb! Try using base rock as it will be much cheaper. Base rock will become live with nitrifying bacteria over time. You might want to consider a skimmer. What type lighting is that? You may want to purchase a Protein skimmer when you pick-up more LR. You could get away with using 1- 250w mhl . they say 3-5watt per gallon.